Driveway gates are a great addition to any property. They are aesthetically appealing, provide added security, add value to your home, and so much more. Many of today’s most beautiful homes have driveway gates. The first and foremost advantage of having a driveway gate is the increased level of security at your property. Driveway gates can give your property that regal look. these gates deter thieves due to the large spikes that are generally found on the top. Wrought iron gates can also give a home an old-fashioned appeal while adding a strong first line of defence against intruders. Vinyl driveway gates have been around over 20 years and are known for their durability and the fact that they need little to no maintenance. Vinyl gates allow for very rugged conditions and easy installation, all while adding to the decorative style to your property. Made from a variety of materials, electric gates can be an incredibly convenient selection. These gates are operated by a remote control or a keypad. This comes in handy when it is raining, snowing or when it is downright freezing cold. Instead of going out in the elements to open the gate, you can simply operate from in a car or home. 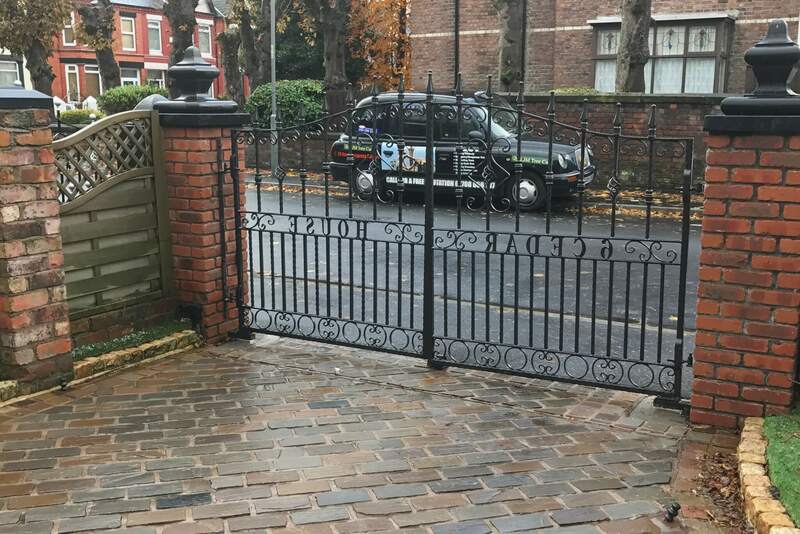 By adding a gate to your driveway, you will not only immediately smarten up the exterior of your property but you will also add an additional security benefit to your home. So whether you prefer clean and modern or traditional styles, Abel Landscaping offers a range of gates to suit all tastes and property styles. If you would like a quotation for your project or any advice, even design ideas. Please get in touch we more than happy to help.